In the US, you can only get a class 1 hitch (aka RECEIVER, aka TOWBAR in Australia) unless you get something custom made. Class 1 is rated to 1,500lbs which is ok for a small utility ot tire trailer or a bike rack. They all go UNDER the bumper (you will see a bar coming out from under the bumper and a raised receiver for the tongue). The class 1 receiver hole is 1 1/4 inches. They cost about $125 (ebay) to $200. In Australia, where SUVs and gas are expensive and they're not afraid to tow with a car, you can get a Class 3 (3,500lbs) or Class 4 hitch (4,500 lbs) that bolts right onto the car, from the dealer as an option. They're 2 inch receivers. You can also order an optional trans cooler. The class 4 is exactly the same as the class 3, but they come with a frame balancing harness (aka equalizer) and you have an option for "pump up" rear shocks. They have air bladders to keep the rear of the car from squatting under a heavy tongue load. 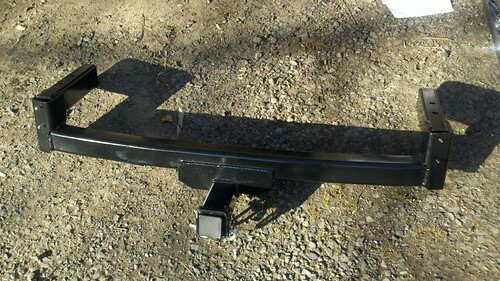 You can get the class 3 hitch in Australia new for $350 to $400. 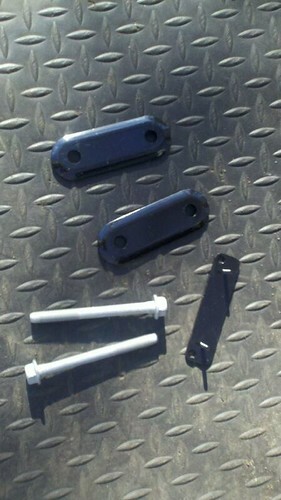 The hitch wiring kit is about $150, but we dont need it in the US (more on that later). The big problem is getting it shipped to the US. I see hitches on Australia Ebay all the time for $100 picked up. Nobody will ship it across Aust much less to the US. Its a 90 pound steel bar almost 4 feet long, its NOT cheap to package and ship, especially overseas. The painted bumper you see on the back of your car is actually called a bumper cover. The bumper itself is an aluminum bar designed to be lightweight and deform in an accident and transfer force into the frame rails. 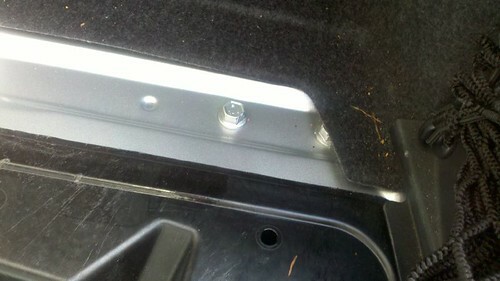 There are two bumper mounts that bolt to the bumper and go into each frame rail and are bolted in. 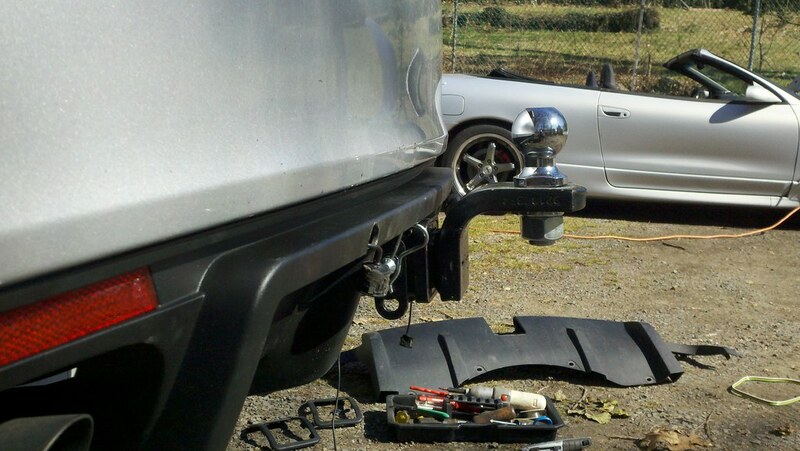 When you install the hitch, you discard the bumper mounts and the hitch itself goes into the ends of the frame rails and is bolted in, and the aluminum bumper is then bolted to the hitch. Benefits: tow weight goes right into the frame, you now have two bumpers to absorb energy in an accident, the frame rails are now better tied together to brace the frame. 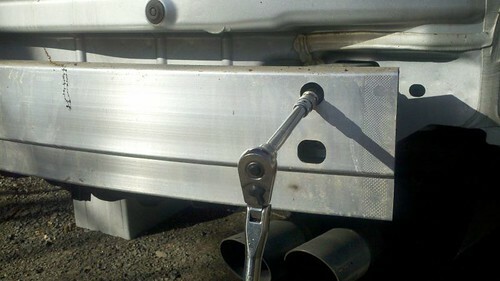 The hitch goes through the precut hole in the bumper diffuser and integrates into the back of car instead of a bar hanging under the bumper like a US class 1 hitch. 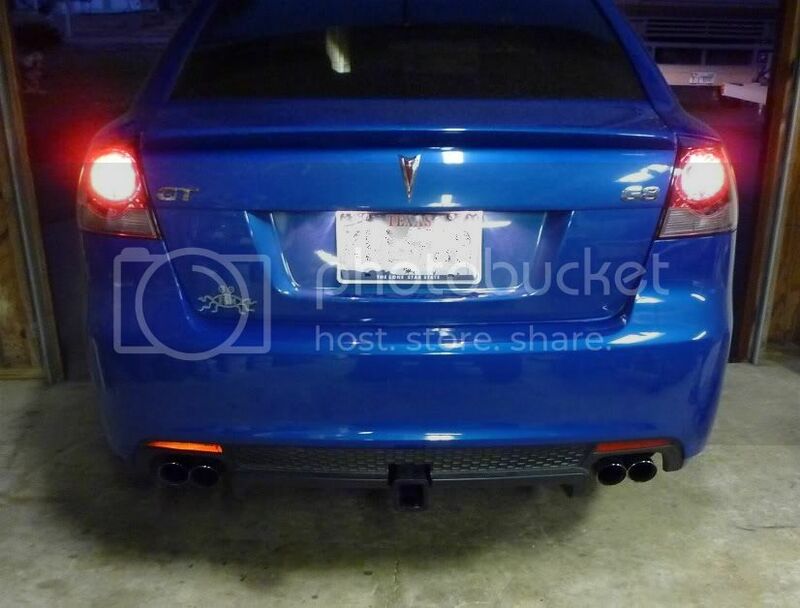 Whats bad: you added 90lbs of weight to the tail of your car, hitch pin is covered by GT diffuser (but clears on GXP diffuser). The class 1 hitches made and sold in the US dont go into the frame rail. They have a bracket that sits on top of the frame and is then bolted into the existing holes. Thats why they have such a limited tow rating. And also why a custom shop would have so much trouble making a heavy duty hitch for this car. 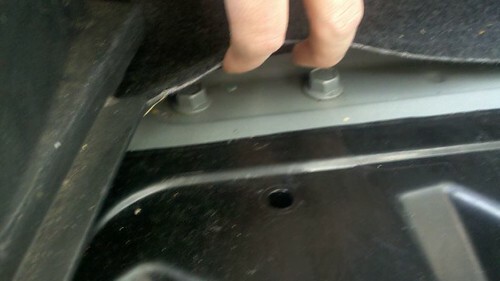 Holden and Reese have the exact shape and bolt holes for their hitch to go inside the frame rail and have the bumper bolt to it. That would be a nightmare for anyone designing and welding it from scratch. -The hitch itself: $800 to $1500 from Australia with all bolts and brackets, see below how I got it. -A wiring kit: Since the Australia wiring kit is for a 7 flat trailer plug (we use 4 flat or round) and $120, I got a powered (takes power from car battery and not tailight wiring) kit for $30. 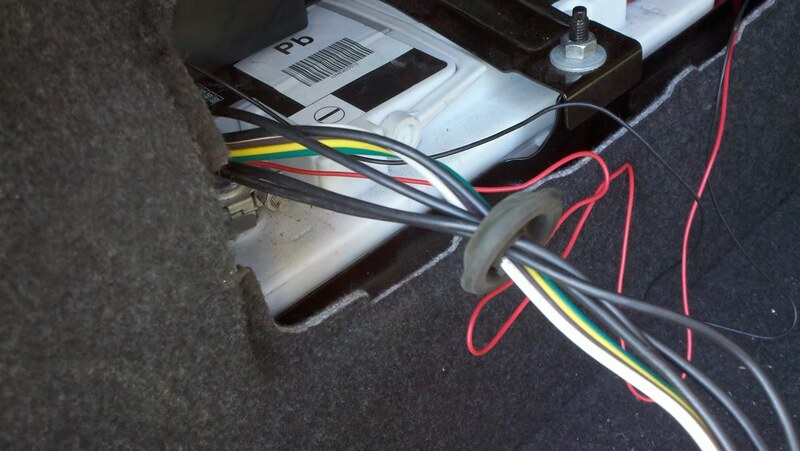 Since our battery is right there in the trunk, install is a synch. -Tongue (aka BALL MOUNT aka DRAWBAR) and ball: Everything in Australia is metric, so I was afraid to get a ball from Holden since I knew it would be slightly off from 2 inches. I did get the holden tongue since I couldnt find one that didnt stick out as little as the Holden one did. The problem I had was a 1inch ball shank (what goes through the tongue hole and holds ball on with a nut) was too large to go through the hole since it was metric. I had to have a machine shop drill out the hole to 1.05 inches. Since a US tongue fits fine in the hitch, you can skip this and use any US tongue/ball combo you want that fits in a 2" receiver. 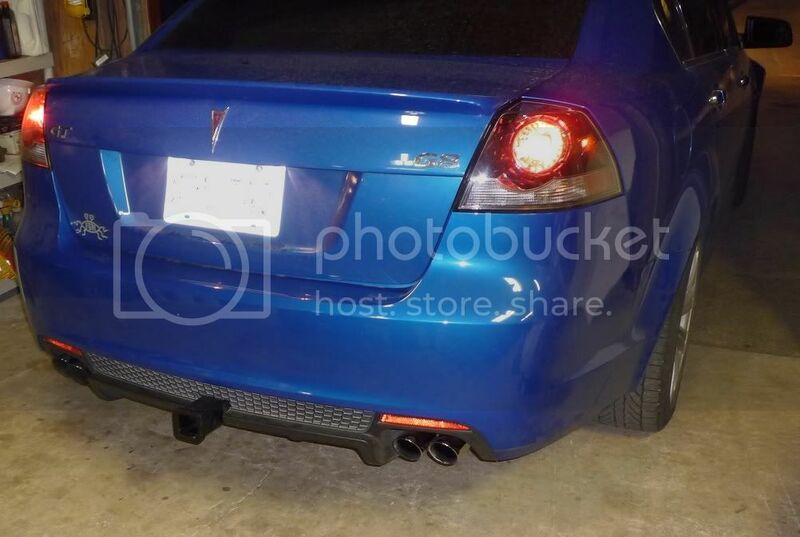 -optional GXP diffuser: Since the US bumper sticks out 3 to 4 inches farther than Australian bumpers to meet more stick US bumper requirements, the pin hole in the hitch that is used to hold the tongue onto the hitch will be covered when you put your diffuser back on. This is because the lip that sticks out between the mesh area and the bottom of the diffuser is lined up right with the hole. Ways around it: remove diffuser every time you tow, when you put the diffuser on reach under and get the pin in then so your tongue and ball will be permanently installed until you take the diffuser off again to get to the pin, make a huge ugly hole around your hitch so you can get to the pin with everything installed, or just put on a GXP diffuser which clears fine. -optional escutchion: in Australia once you cut the hole in the diffuser, there is a plastic trim piece that pops into the hole. I never figured out what part number goes on the GT diffuser, but when I did my GXP diffuser I cut the hole very very tight to the hitch and I dont need or want any trim around it. Looks tight and factory. I called a few guys who deal with selling Australian products in the US. With shipping and customs fees every quote I got was over a grand. I called a Holden dealer, $1,500 shipped. I called some custom tow shops that make their own hitch for the G8 but its basically a copy of the Reese/Holden part; over a grand. Also would take 2+ weeks to get to me. Then I called JHP. They could get it to me via DHL in 3-4 days for $820 with a tongue. They could also get me the escutcheon (trim that goes in the hole in the diffuser) from Holden. Sweet. Turns our I didnt need it. Less sweet. -Your diffuser has a precut hole in it for the hitch, but I found its WAY too large and will leave a huge ugly gap around the hitch. Since I couldnt find an escutcheon to fit my GXP diffuser, I cut a very small hole in the middle and kept test fitting the diffuser over the hitch until I had almost no gap at all. Ok now you have a hitch, you're good for a bike rack or storage attachment, but if you want to tow you need a harness to plug into the trailer for its lights. Supposedly there is a harness somewhere around the spare tire well for the Holden hitch wiring box, which will also shut off the backup sensors on the VEs. Since we dont have factory backup sensors, it costs $150 from Australia, and had a 7 pin flat plug, I got a "powered" hitch setup. 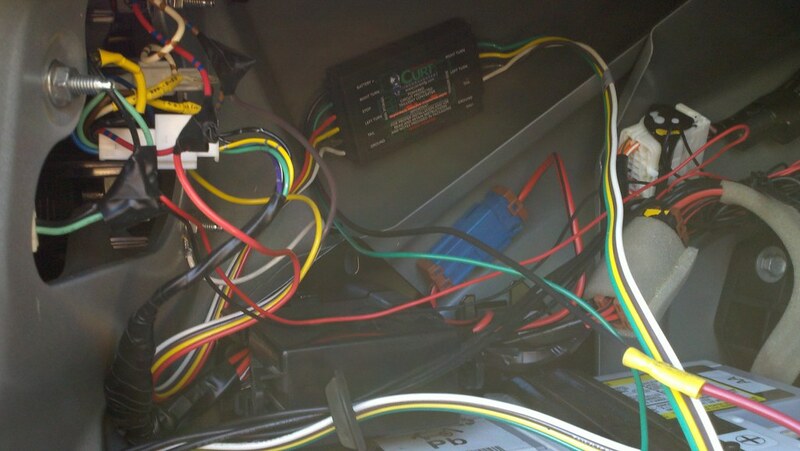 Its a box that you wire to the battery and each taillight/turn signal wire and basically its a multi - relay. Any light that turns on it will take power from the car battery to go to the trailer. 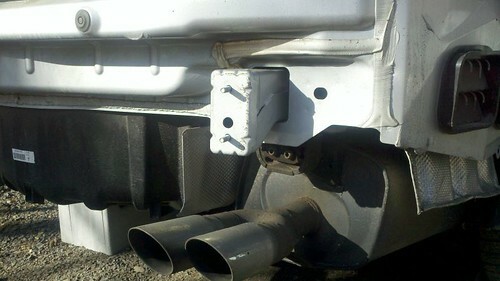 This is import since a cheaper trailer box will take power from the signal wire and just sent it to the trailer. This will make your BCM confused and might even pop the inside thingy in the BCM that sends 12v to the turn signals. So make sure you get a battery powered trailer box. Nice write up. Thanks for paving the way on this. The Holden hitch is the only one I would want to use if I take the plunge. 2008 MGM G8GT no mods, I'm the first and third owner! Just glad to be driving a G8 again! Thanks for the writeup. You have given me some inspiration. 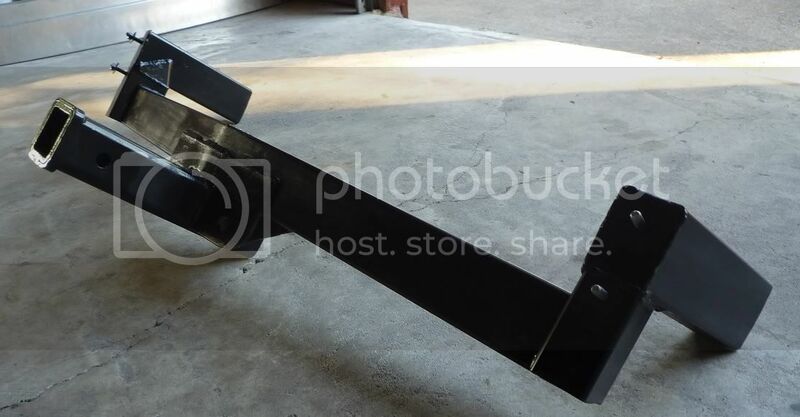 I've been playing with the idea of installing a hitch to attach a cargo rack and I would love something in the class 3 size for pulling a 18ft fiberglass bay boat. Which is around 2400-2600lbs loaded out. So a class 3 would be ideal and the Holden VE is rated at 2,100 kilograms or around 4,600lbs. So no problem there. 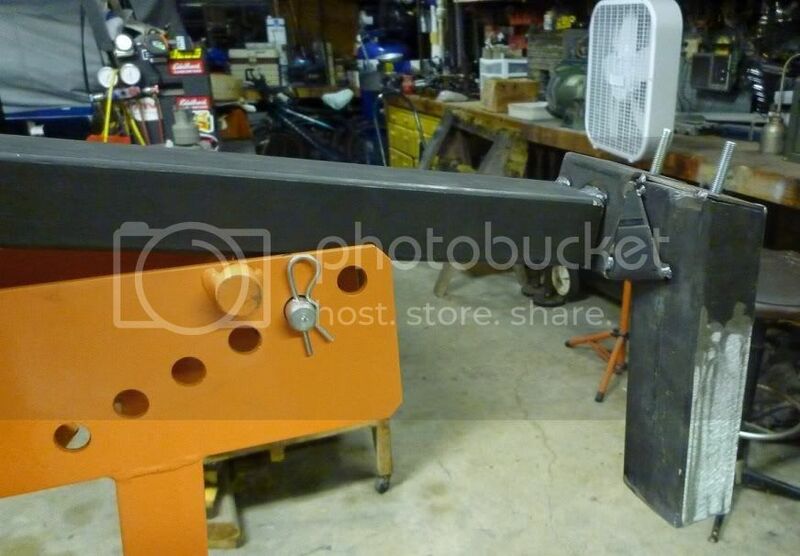 I am thinking about slapping a transmission cooler on and custom fabbing a trailer hitch. The design and making one shouldn't be problem. I have a motorcycle trailer that holds three bikes. And my gf has a 2,000lb pop-up camper we'll be using this summer. I could have towed either with a class 1 hitch and risk it (and I have with my other cars that have class 1) but I wanted the better rated hitch and also hate the way a class1 looks going under the bumper. 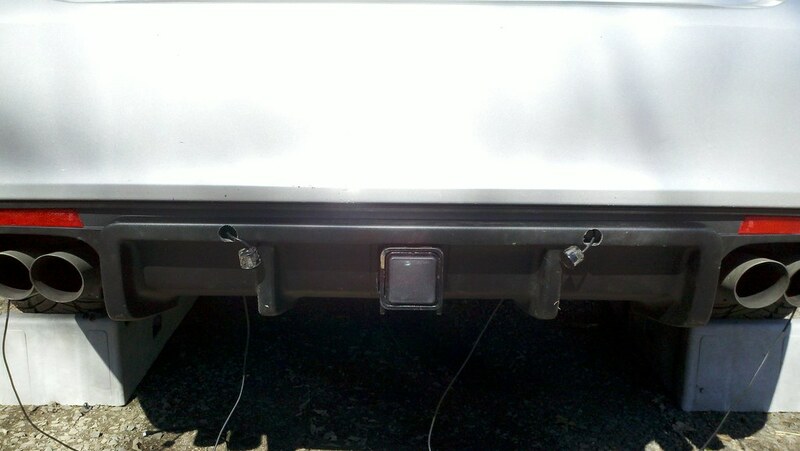 Gilla- good luck finding a shop that will make a custom hitch rated to class3. The reason the Holden hitch can go up to class four is you're bolting it directly to the inside of the frame, basically added a new bar across the frame ends to square off the back frame of the car. The class 1 hitches all bolt to holes in the sides of the frame. Its better than a lot of truck hitches I've seen. You'd have to find a shop either willing to weld directly to the bottom of the frame to make it strong enough, or one that would make custom mounts to go inside the frame ends like the holden one does. If you look at my pics of the frame mounts, it wouldnt be very easy to do. Once I looked at all that, it was a lot cheaper to just order one from Australia IMO. I did find two guys who did have custom hitches made that went through the factory diffuser hole and not under, and both were not rated to class 3 and only used for bike racks etc. They just didnt want the look of the class1 under the bumper. Let us know what you wind up doing. 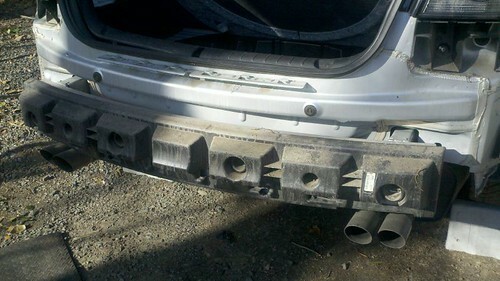 I am going to pop the bumper cover off this weekend and take a look at what I am up against. I do have all the necessary tools to build the hitch. So if I decide to go that route, I'll make sure to take pictures and post the build in this thread. Summer is right around the corner so this should happen pretty soon. 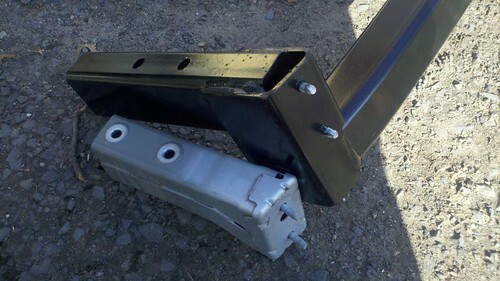 This is the pic of the bumper bracket that comes out, and the hitch that replaces it. If you can make that bracket so that it comes out enough to weld a hitch beam to it while keeping the oem studs in the exact same location for the aluminum bumper bar to go on, you'll probably have a lot of customers on this board. I too have the Australian receiver. I put it in 2 years ago just after I got my car. I love it. I tow my 18 foot Regal, dirt bike and trailer without any issues. Being from Australia, this is just normal for me. I get quite a few looks at the boat ramp when I pull up I must admit. My question to you is on the GXP facia. 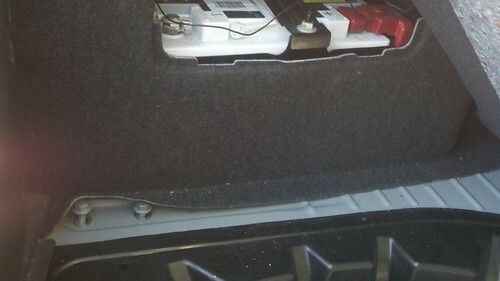 I still have the GT diffuser and cut out a little section of plastic to be able to get the securing pin in and out. Did you have this issue and that's why you went to the GXP diffuser? I bought a hitch bag that I keep my hitch in when not in use. It keeps it from sliding around in the boot (I mean trunk). The GT diffuser has a "lip" right where the pin hole is. The GXP diffuser also has a lip but its a gfew inches higher. You can easily access the pin with the GXP. I'm going to keep mine under my spare. Haven't had a lot of time, damn job, to work on it but I was able to get most of it tack welded together today. Still need to fit the receiver tube, add some more bracing, drill some holes and finish the welds. Oh and some paint. Should have it all together by Saturday. looks awesome! Make sure you mark everything in case you decide to sell some to the other G8s out there drooling for one. The tube that goes into the frame rail: tight fit? The aluminum bumper fits over that angle? Looks sharp (sticks way out). Finished! Thanks again for making this thread. I would have kept putting this off if someone hadn't post pics of the class 3 hitch. It came out pretty damn good. I did end up sticking the receiver tube out enough so that the pin could be inserted/removed easily. Tubes that go into the frame are nice and tight and that angle matches up nicely with the aluminum bumper, just like it's from the factory. Buying a cargo rack tomorrow. Looking every much forward to having "truck like" capabilities in a car. If you have any interest in making another one, I'll buy it. 09.5 Stryker Blue GT, premium and sport. "Mods": Custom 4" low pickup cone intake, LS7 maf, 65lb injectors, Magnuson 1900, 2.8" front pulley, ARH 1 7/8 w/ gutted cats. In the works: 3.27 diff, 8-rib accessory pulley conversion, and ZL1 converter and fuel pump. I am not really sure about my comfort level of building another to sale. Always that risk it may not fit or it might fail when towing. Could you give us a little bit more information about what it cost to build and what sort of tools you used? It looks pretty badass to me. I too considered building one but I'm not sure I can do it on my own. I might have some friends that would be willing to help that are much better at welding and such than I am. A BOM would be especially helpful if possible. If you've got CAD drawings of it, I might even be willing to pay you for a copy. Last edited by dandragonrage; 05-30-2011 at 11:30 AM. OP - do you have a picture of the escutchion? Just so I understand clearly--the one you can get from JHP will or will not work with the GT diffuser? I am in a spot where I was considering buying a small/cheap truck to pull my Seadoo--even though it's expensive to ship a hitch over, that would be much cheaper. I don't want to see the hitch when I'm not using it, if i can help it. Does the escutchion totally cover the 2" hitch when in place? I'll take a pic of the two I bought when I get home from work and if I remember. Neither fit on the GXP diffuser (although it looks like one would go on upside down), I think one was for a GT diffuser. Either way, they're just a trim piece to hide the edges of the hole you cut out for the diffuser. The receiver is gona stick out either way. It doesnt do anything to hide it, might even call more attention to it if you actually cut out the hole big enough to put it on. 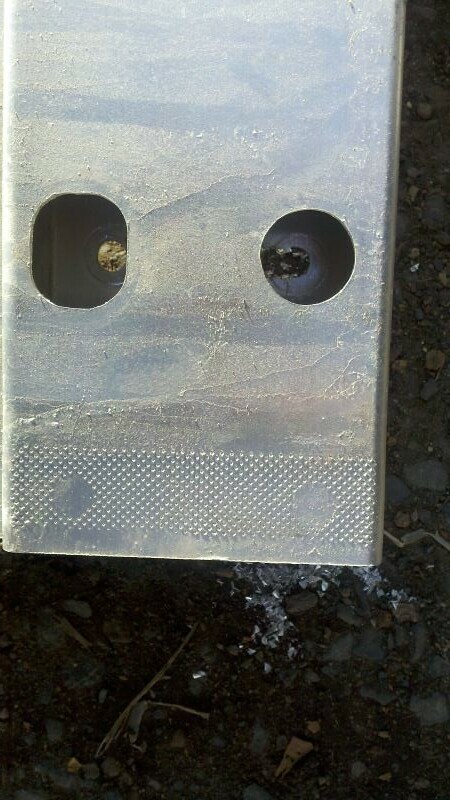 I found that if you cut the hole to fit the receiver its half the size if you followed the lines in it. I put a plug inside my receiver, hides it very nicely. While you get a 2x2 receiver at the bottom of your GXP diffuser, its hidden quite well using the GT diffuser. 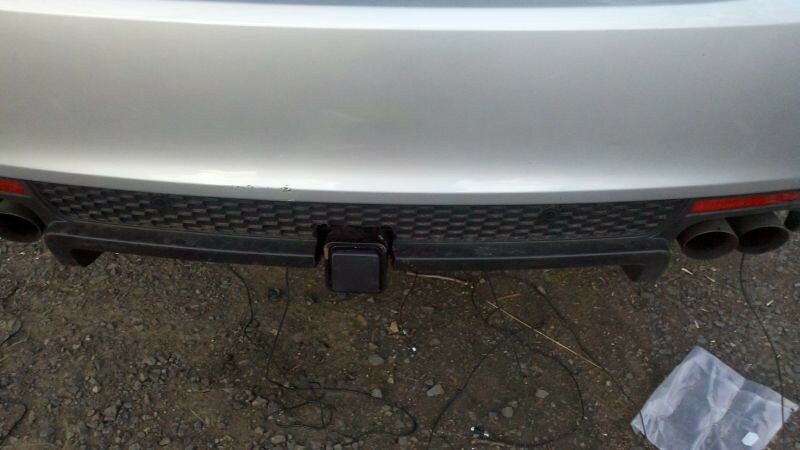 The GT diffuser has a lip thats level with the receiver. The problem with that is the lip also covers the pin hole on the side. The GXP diffuser exposes the pinhole (the lip is much higher on GXP than GT diffuser). Thanks, TurboMike--that's what I wanted to know! If you have time, pictures would be great! Sorry for taking soooo long to respond. I've been busy and don't normally check back here too often. If you have a friend with a welding machine and grinder, you can build one. It might take 4-8hrs depending on your skill level. I built it out of 2x3x1/4in wall steel tubing and a receiver tube I purchased at Harbor Freight. The steel tube shouldn't be more than $45-65 for 8 feet but you'll only use about 6 feet and the hitch tube, I am thinking I went with the 15in, was $15. SO this project's material cost is under $100. I started off taking measurements but they kind of got sloppy. I'll see what I can dig up tonight and post them. But basically, the aluminum bumper can be used as a guide and the receiver hitch tube comes out about an 1/4in below it. I started by making the steel tubing that slides into the frame. I copied the stock pieces length but added about 3 inches that extend into the frame, just make sure the portion sticking out is the same as stock. Also a little material will be removed from the top of the tube so that it will fit properly, go slow with the grinder so it's nice and tight. Next you'll make the "drop down arms". I welded mine so that the angle matched the curvature of the aluminum bumper and extended down to the bottom of the aluminum bumper. Then fab the peice that connects the "drop down arms". It will need to be angled to clear the spare tire well. Finally, the receiver tube will welded to the bar and some bracing needs to be added. The receiver tube, which I think was 15in, should be the perfect length to clear the diffuser and allow easy access to the hitch pin. Then paint and cut the diffuser hole and mount. Its really not too bad if you have access to the equipment and some time to mess with it. I've already used the hitch a couple times to haul stuff in a cargo rack. Best mod ever. Just need a tow controller and I am ready to try pulling a boat!